Purchase Your Historic Seaside Gem Today! Give Ryan A Call Today! Love the beach and year round living, Cape May is the place for you. Whether you’re searching for a place to call home, a vacation residence or a rental property, an experienced realtor will expedite your search and help you make intelligent, informed decisions about the real estate market. Buy the house of your dreams or rent a place to call home for a week while you immerse yourself in fun at the beach. 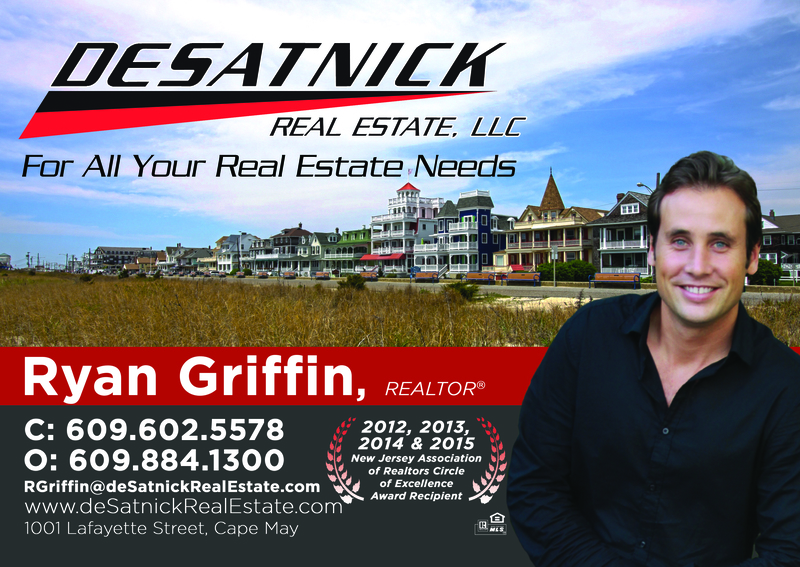 As a fifth generation Cape May native, Ryan Griffin has had an insider’s experience of the tight-knit community of ocean-lovers and beach-goers. A strong love of the shore connects him to the residents of the community and the renters eager for a taste of the Cape May lifestyle. To partner with Ryan on your real estate endeavor, call his Cape May office now at 609-602-5578 right away to get started. Put five generations of accumulated local knowledge and a vast network of community connections to work for your next real estate endeavor, whether it involves buying, investing or renting. Eager to spend time relaxing and having fun in the sun at the NJ shore? Contact local realtor Ryan Griffin to find the rental with the perfect amount of space, great location and low price. Copyright © 2019 Ryan Griffin Realtor, all rights reserved.